Probably one of the most famous delicacies to be associated with the city, petha is, and has always been the rage when it comes to the food business here. You will find billboards and railway stations flooded with advertisements for this local sweetmeat, which has been manufactured for centuries in the small bustling galis (alleys) and local mandis (markets). Petha is a translucent, soft, syrupy, and chewy sweet made from ash gourd, also known as white pumpkin or more popularly, squash. 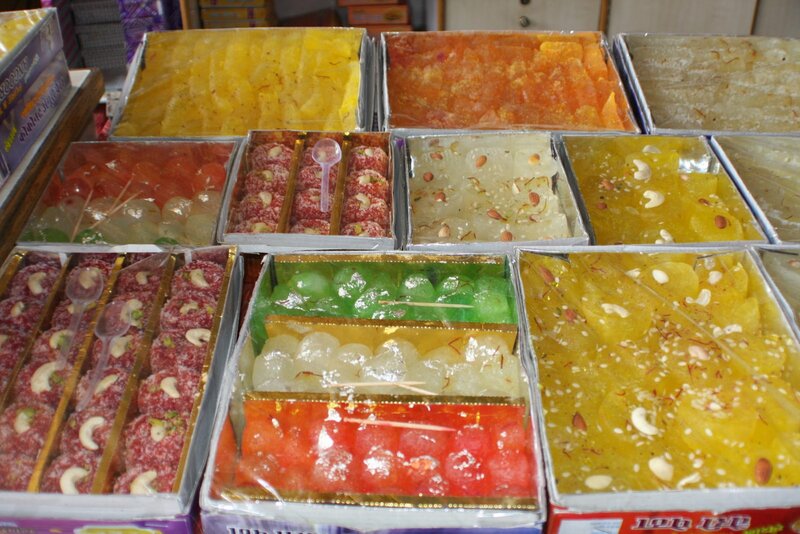 While the basic and simplest type of petha comes in small white cubical hunks, you can find many more types, in cylindrical and rectangular shapes, and different flavours ranging from kesar (saffron), chocolate, angoori (grape), and even mango. 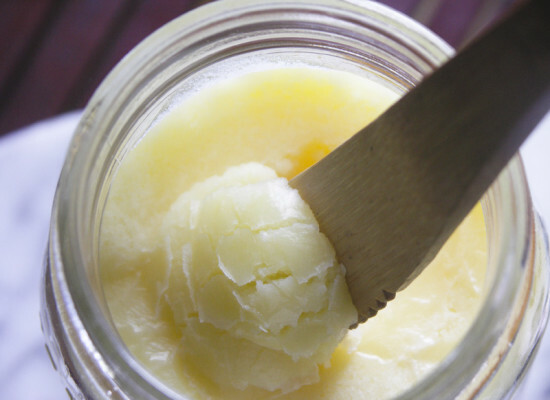 The most famous petha manufacturing chain here is Panchhi Petha, with its branches spread in every corner of the city. A traditional north Indian namkeen (salted snack), dalmoth in Agra is synonymous with petha when it comes to taste and fame. 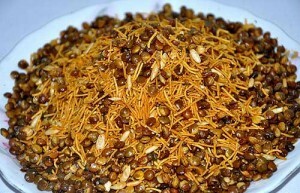 Dalmoth consists of a proportionate mixture of fried dal (lentils), dried fruits, nuts, spices, and oil. The lentils used to prepare the snack can be of any kind, the most notable ones being chana (yellow gram), moong dal (green gram), and moth beans. Crispy in texture and sharp in flavour, dalmoth can be customized according to your requirements in many local food eateries. In addition to this, dalmoth also comes packaged in small boxes, which one can find easily at any sweet shop, or halwai, as they are more commonly called in north Indian states. 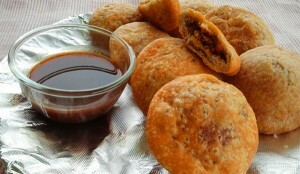 This snack serves as the perfect light munching material with a cup of hot and sweet tea in the evenings. 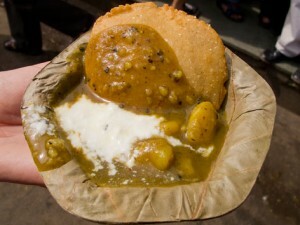 If you come to Agra and do not have this particular dish, you have missed out on the city’s street food in a major way. Bedhai resembles the kachori, in the way that both are round, flattened breads, deep fried in vegetable oil, but the former contains a delightful stuffing of masala, made of lentils, besan (gram flour), and spices. It is served with a spicy, hot curry of potato chunks and green chillies, and occasionally with a dollop of sweetened curd. 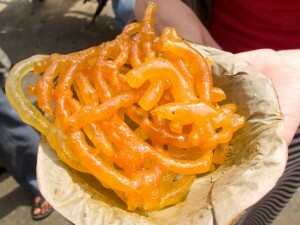 You will find many street corners overflowing with early risers treating themselves to bedhai and jalebi for breakfast. Served at many eateries, big and small, the famous North Indian jalebi is served as an accompaniment to bedhai. This sweetmeat is made by deep-frying maida (refined wheat flour) in concentric rings, and then soaking the product in hot sugar syrup. Both bedhais and jalebis are made fresh in enormous quantities each day all over the city, and sold out within a few hours. The two balance each other out perfectly, and also amply fill one’s stomach, making it a must-have on the Agra breakfast menu. 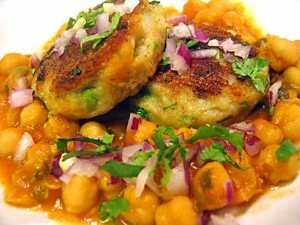 Chaat is known to be the favourite ethnic snack of the quintessential north Indian. What makes Agra’s chaat so different are two features: firstly, its entire preparation in desi ghee (clarified butter), and secondly, the bhalla, which is the city’s answer to aloo ki tikki. 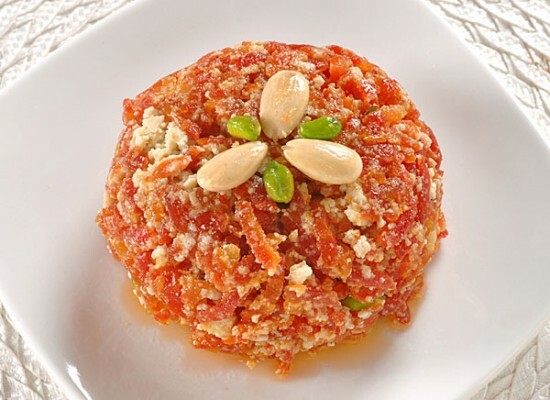 The bhalla is made by mashing boiled potatoes and chickpeas together in a flat, round disc, after adding pieces of paneer, dried fruits, nuts, and sometimes, beetroot chunks. It is deep fried, and then smashed open from the centre, and served with a garnishing of shredded ginger, spices, chutney, and if you want, curd. 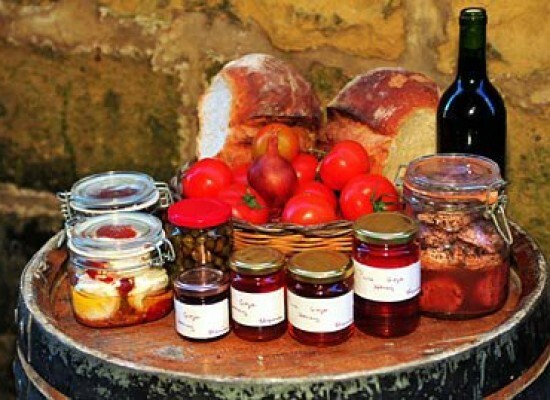 There are two variants when it comes to chutneys, saunth, a sweet, thick, brown chutney made from tamarind, or the spicy, green chutney made from chillies and coriander. 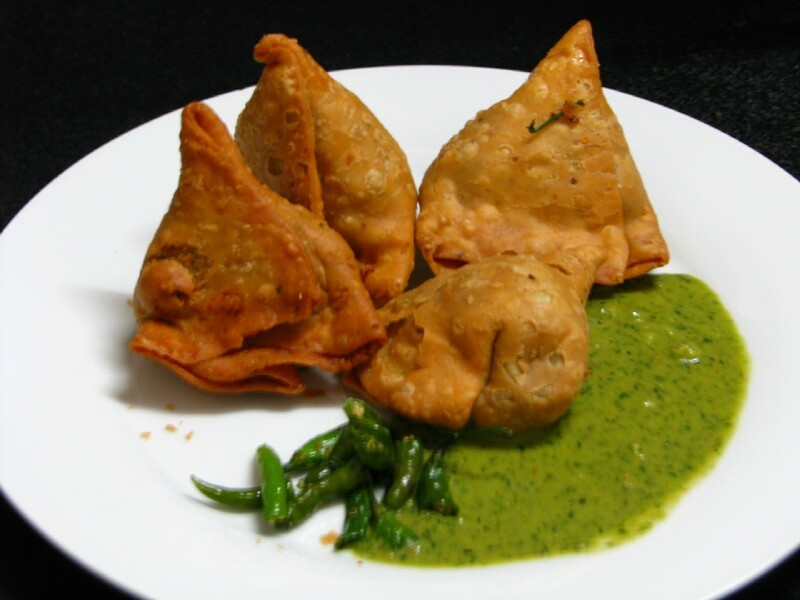 In addition to this, samosas, deep fried savouries stuffed with potato and other fillings, and khastas, small, spice-filled deep-fried breads, are also served in Agra, primarily in the evenings. Bhagat Halwai, Deviram Sweets, Dauji Mishthan Bhandar, and Sadar Bazaar are some of the best places to relish chaat in the city. 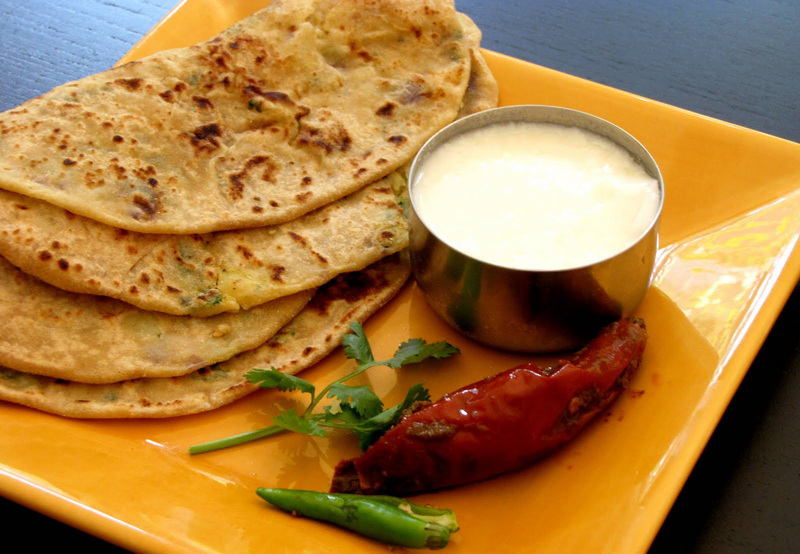 Made by frying wheat dough discs on the traditional Indian tawa (pan), parantha forms the staple of most of the north Indian states, from Punjab to Uttar Pradesh. Since the majority of people living in Agra are vegetarians, the parantha here does not serve the all-exclusive non-vegetarian. Available in many variants, the paranthas in Agra are stuffed with various fillings such as potato, cauliflower, radish, and many more, and served in a thali (large round plate) with various sabzis (vegetable preparations) and chutneys. Rambabu Paranthe Wale is a popular food establishment with the locals, and many flock to the restaurant on weekends to have this dish. 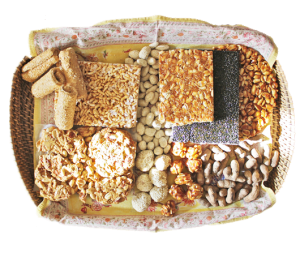 A sweet and dry sweet made mainly in the winter months, gajak is made by layering til (sesame seeds), sugar, gur (jaggery) and oil. 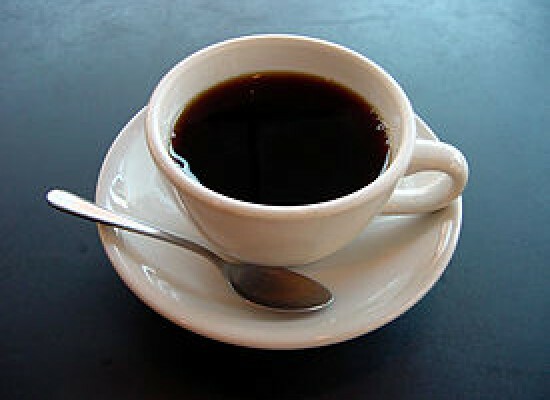 Gajak is an instant fix for anyone feeling cold in the chilly months of December and January, and provides immediate warmth on consumption. 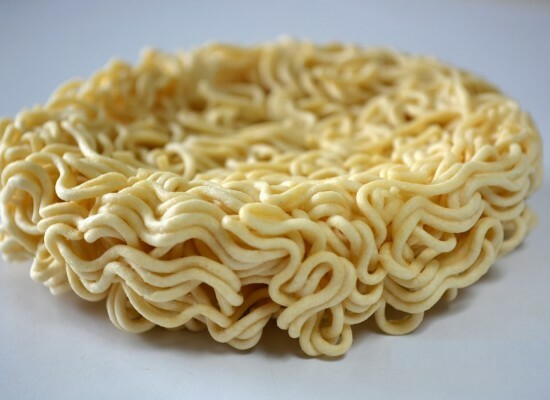 It is also served in the small and more easy to munch form of rewadis, which are small, round, bite-sized pieces of gajak. 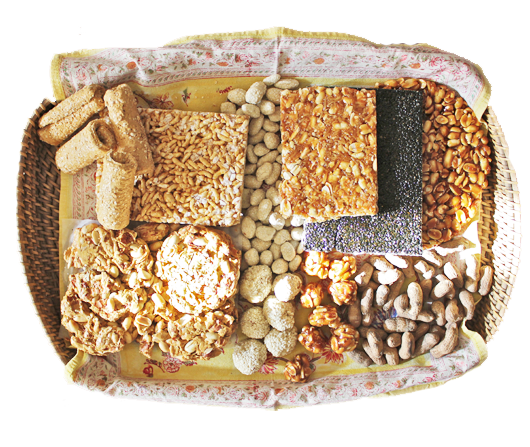 Chikki, more popular with the children, is a variant of this sweet and uses groundnuts instead of til. 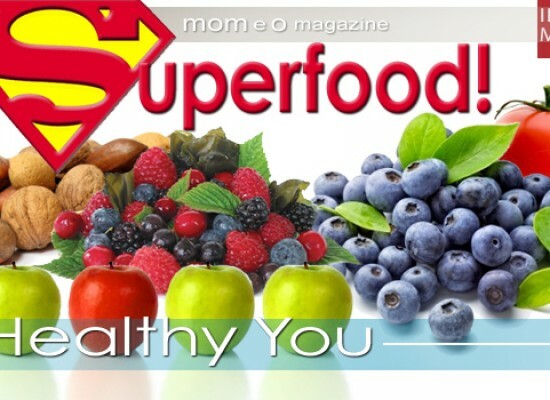 Both are served in flat sheets, and sold in boxes and packages on a large scale in the city. Bedariya Ram Gajak Wale and Manohar Lal Daulat Ram Garg Gajak Wale are some of the oldest gajak manufacturers and sellers in the city. 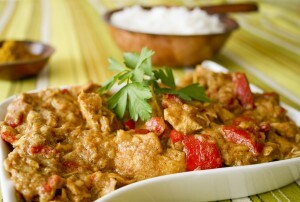 And last, but not the least, you have to have Agra’s Mughlai preparations if you love meat. These dishes use various meats such as chicken, mutton, and lamb, which are marinated overnight in curd, ground spices, and herbs, and then made into delicious creamy and buttery curries. Garnished with coriander, butter, cream, and occasionally dried fruits and nuts, these delicacies instantly transport the non-vegetarian foodie into gastronomic heaven at first bite. You will find a variety of these dishes on the menus of many restaurants, korma, shahi, malai, butter, and keema all included. The best dine out places for Mughlai food in the city are Pinch of Spice and Kwality Restaurant, although you can find many small non-vegetarian open-air eating joints towards the cantonment area of the city.